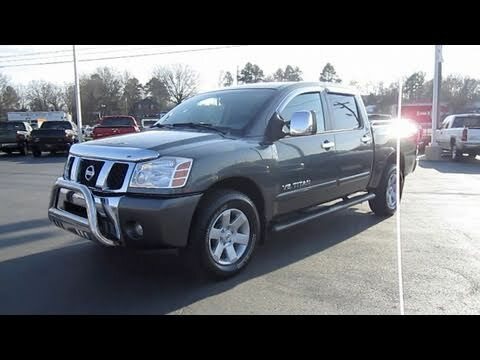 The Nissan titan 2005 pick up truck is a truly worthy option to consider for any person looking for a vehicle that is reliable, comfortable, and powerful. It can drive hundreds of thousands of miles with barely any repairs needed if any at all. It drives very smooth on the road compared to a lot of other trucks that came out around the same time and especially before that. The air conditioner is fast acting and efficiently cools the interior in all corners. Despite being a powerful truck it is not exactly a gas-guzzler either, so great news for those looking to save some gas money. It has a window in the back seat that can be winded down via a button on the driver's seat as well and that is truly unique to that truck. I love the blind spot mirrors it has. The Nissan titan is a really cool truck. It is off of four-wheel drive so you can go off-roading with it or pull things that you need to pull. It is got a full size back seat and it is four door. One of the things I do not like though is how big the side of the windshield area is inside. It kind of creates a blind spot when you are looking out the front window of the vehicle you cannot really see well because that area so large it blocks the view. Nissan titan 4×4 truck that can basically ride everywhere. Honestly I love driving a Nissan titan people would tell me that driving a truck is much safer and honestly it is I feel safer on the road I can see further ahead in traffic and that gives me a heads up besides being safe it has the space I need for my family my kids ride comfortable in their car seats and if have to carry something or I decide to purchase something big I have the space to put it with no problem I love my truck. Should you buy a Nissan Titan? !